Lord Edmund Howard was born between 1472 and 1497. 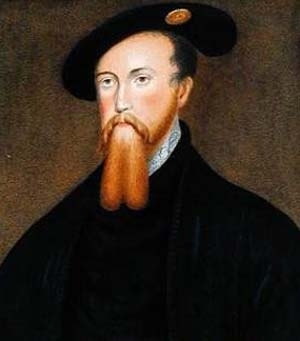 He was the son of Thomas Howard, 2nd Duke of Norfolk and Elizabeth Tylney.1 He married, firstly, Joyce Culpeper, daughter of Sir Richard Culpeper and Joyce Worsley.2 He married, secondly, Dorothy Troyes.2 He died on 19 March 1539. [S3323] Trish Lewis, "re: Taylor Family," e-mail message to Darryl Roger Lundy, 15 July 2008. Hereinafter cited as "re: Taylor Family." From 1529, her married name became Burgh. 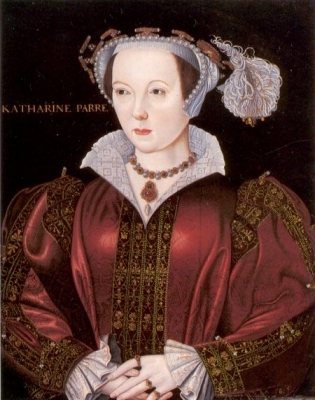 From 1533, her married name became Neville. From circa May 1547, her married name became Seymour. [S4555] Meg McGath, "re: Gerard Family," e-mail message to Darryl Roger Lundy, 30 March 2010. Hereinafter cited as "re: Gerard Family." [S6] G.E. Cokayne; with Vicary Gibbs, H.A. Doubleday, Geoffrey H. White, Duncan Warrand and Lord Howard de Walden, editors, The Complete Peerage of England, Scotland, Ireland, Great Britain and the United Kingdom, Extant, Extinct or Dormant, new ed., 13 volumes in 14 (1910-1959; reprint in 6 volumes, Gloucester, U.K.: Alan Sutton Publishing, 2000), volume VII, page 483. Hereinafter cited as The Complete Peerage. [S6] Cokayne, and others, The Complete Peerage, volume XI, page 638. [S11] Alison Weir, Britain's Royal Families, page 154, says 7 Sep 1584. 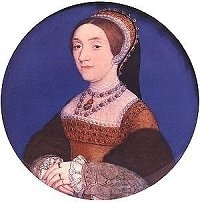 From before 1500, her married name became Seymour. [S11] Alison Weir, Britain's Royal Families: The Complete Genealogy (London, U.K.: The Bodley Head, 1999), page 153. Hereinafter cited as Britain's Royal Families. [S79] Douglas Richardson, Plantagenet Ancestry (Baltimore, Maryland, U.S.A.: Genealogical Publishing Company, 2004), page 729. Hereinafter cited as Plantagenet Ancestry. [S6] G.E. Cokayne; with Vicary Gibbs, H.A. Doubleday, Geoffrey H. White, Duncan Warrand and Lord Howard de Walden, editors, The Complete Peerage of England, Scotland, Ireland, Great Britain and the United Kingdom, Extant, Extinct or Dormant, new ed., 13 volumes in 14 (1910-1959; reprint in 6 volumes, Gloucester, U.K.: Alan Sutton Publishing, 2000), volume XII/2, page 560. Hereinafter cited as The Complete Peerage. [S6] Cokayne, and others, The Complete Peerage, volume VII, page 483. [S6] G.E. Cokayne; with Vicary Gibbs, H.A. Doubleday, Geoffrey H. White, Duncan Warrand and Lord Howard de Walden, editors, The Complete Peerage of England, Scotland, Ireland, Great Britain and the United Kingdom, Extant, Extinct or Dormant, new ed., 13 volumes in 14 (1910-1959; reprint in 6 volumes, Gloucester, U.K.: Alan Sutton Publishing, 2000), volume XI, page 637. Hereinafter cited as The Complete Peerage. Sir Thomas Parr was the son of Sir William Parr and Elizabeth FitzHugh. He married Maud Green, daughter of Sir Thomas Greene and Joan Fogge, circa 1508.